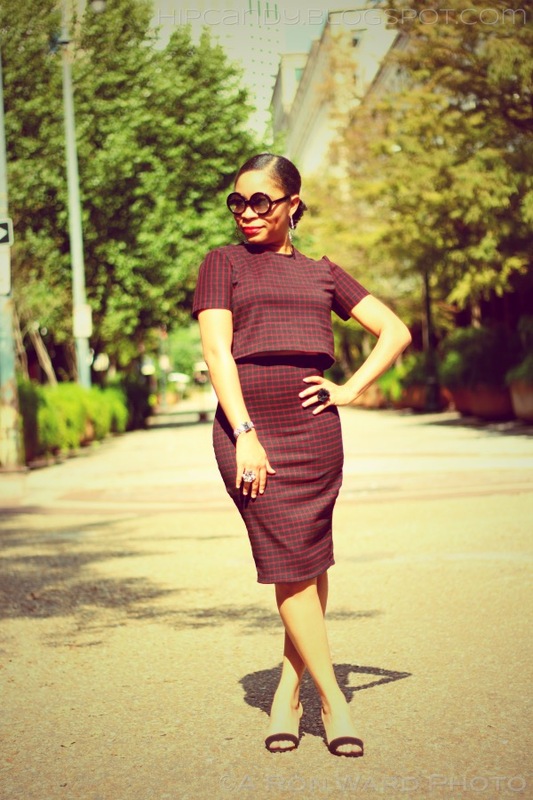 Hip Candy : Dress Remix: Turning a Sheath Dress into a 2-Piece Set. 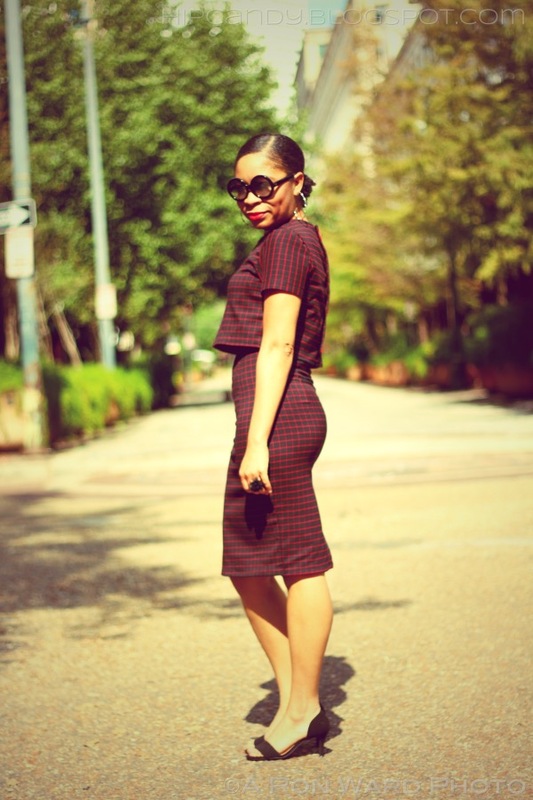 Dress Remix: Turning a Sheath Dress into a 2-Piece Set. I'm working it out on these crop tops y'all. This is my 2nd crop top set (see the 1st HERE) and I have one more planned so bear with me, won't you? 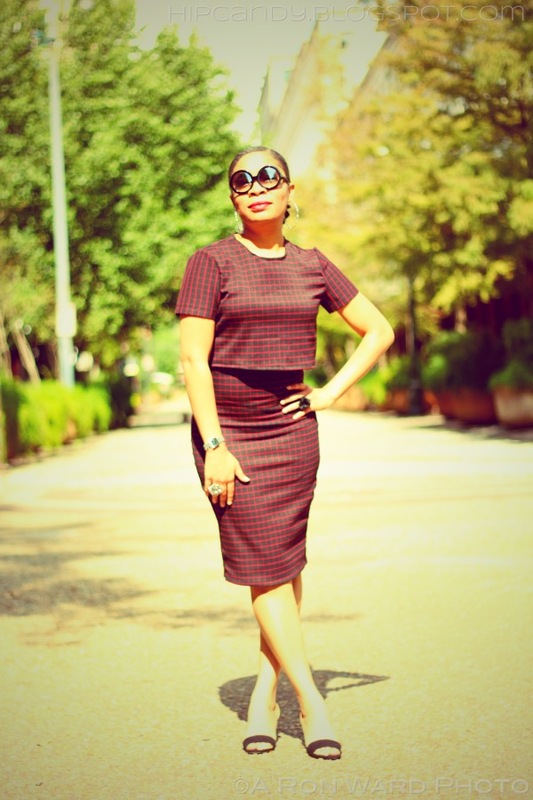 This set was a sheath dress that I made in it's previous life (I used McCall's M5818, see HERE and HERE) but I never really liked the top of it when it was a dress, so I decided to slice it up and try to fashion it into something else and this 2-piece set is my result! 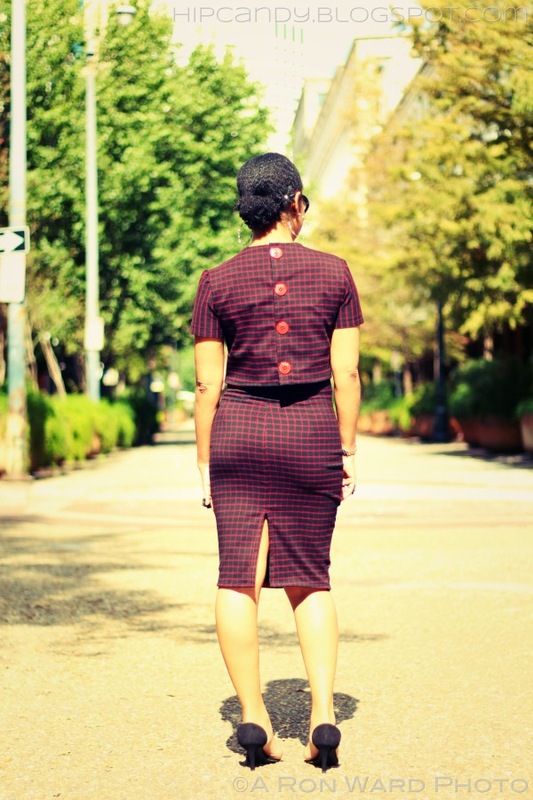 I basically cut the top off of the sheath dress and made it into a high waisted (more) fitted skirt using the same pattern from my last 2-piece set. It had a zipper when it was a sheath dress but I completely removed it and elasticized the waist because even though this is a woven fabric, it has a really nice amount of stretch, so I was confident I'd be able to get it over my hips without a zipper. Hips are always the gauge. Fit your hips first, then tailor everything else to fit (waist, length, etc.) and always leave extra seam allowance for when you're not sure. The crop top was made from New Look 6483. THIS PATTERN RIGHT HERE. I've gotten A LOT of mileage out of this one shirt pattern. This pattern is the base for so many of my recent sewing projects from dresses to tops and beyond. Here, I just cropped the short sleeved crew neck top and drafted a new boxy pattern without the use of the darts. I had about of yard of this fabric left in large sized scraps so I was able to easily get this top done. And this is precisely why I hoard scraps of fabric. I always think in the back of my mind that I could make something else with it and this crop top is exhibit A. An entire crop top made from fabric scraps. BOOM. Done. Overall, I'm pleased with how this set turned out. More pics below! 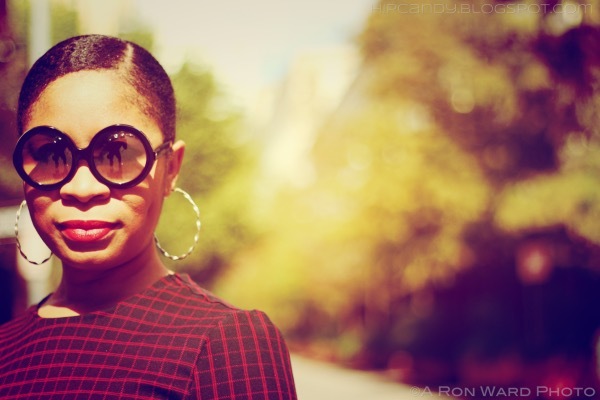 All Photography by Ron Ward. Like my sewing page on Facebook!